The MeyGen tidal stream project in northern Scotland has produced first power as one of four turbines becomes operational. The 1.5MW turbine was successfully installed last week and plugged into the pre-laid cable which connects to the onshore control centre and grid export point. The process of powering up the turbine to tune the control system for optimised generation has begun, which means it can only export electricity using the tidally driven water flows. This follows an extensive onshore turbine testing and commissioning regime prior to final deployment. 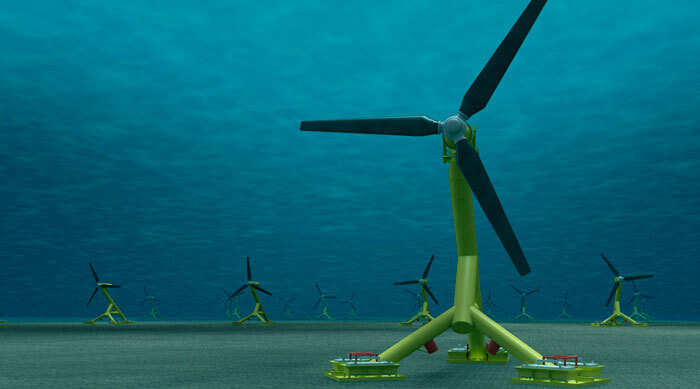 The flagship 400MW project in Pentland Firth, which is being developed by Atlantis, will be the largest tidal array in Europe and construction for the second 6MW phase is due to commence next year. “I look forward to bringing more news of the project development over the coming weeks and months as we move into the full operational phase. It’s especially exciting to be making this announcement on the morning after the first “super moon” in 68 years – last night, those of us with clear skies were able to get a good view of the powerhouse behind tidal energy, and be reminded that even in times like these there are still predictions we can rely on. Last month all four foundation structures were installed using a Neptune jack-up vessel, which Atlantis claimed was “significant” for the future of the industry offering a flexible and fast installation solution.